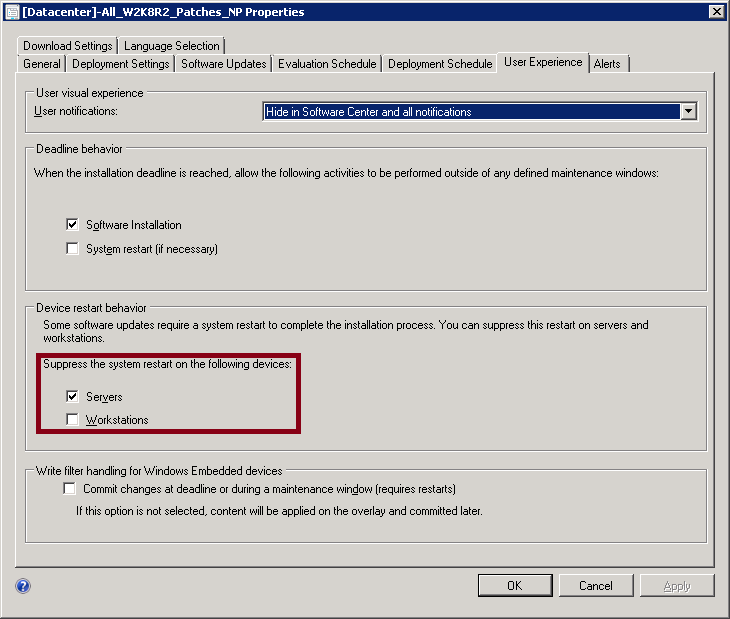 SCCM 2012 provides to administrators the ability to deploy Software Updates using an Automatic Deployment Rule. This allows an ease and an efficient management of updates but might be a bit tricky when you try to update a rule. 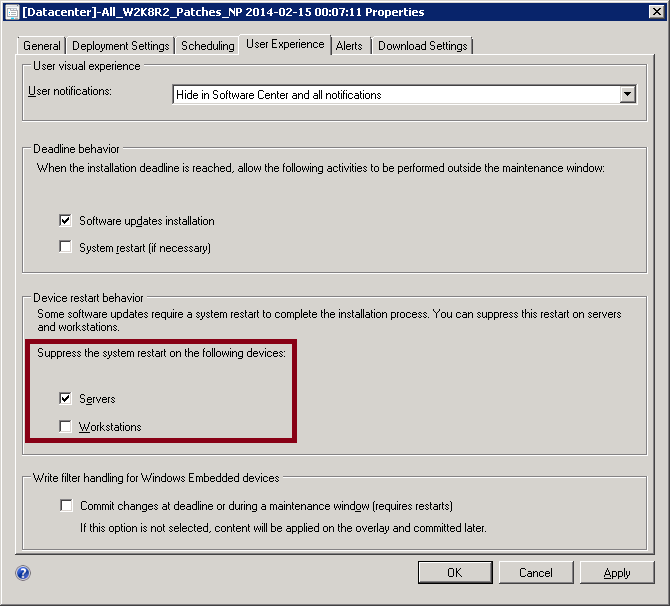 This Wiki article was created to share with you how you can proceed to suppress the system restart on devices in a Software Updates Automatic Deployment Rule. To suppress the system restart on devices in a Software Updates Automatic Deployment Rule, you need to go to the properties of the rule and then enable Suppress the system restart on the following devices check box for the device type you are targeting: Servers or Workstations. When an administrator does this update, he might be surprised that the change is not taking effect. The reason for that is that, if the Automatic Deployment Rule has already created Software Update Groups and started their deployment, you need to update the Deployment settings of these Software Update Groups to suppress the system reboot. 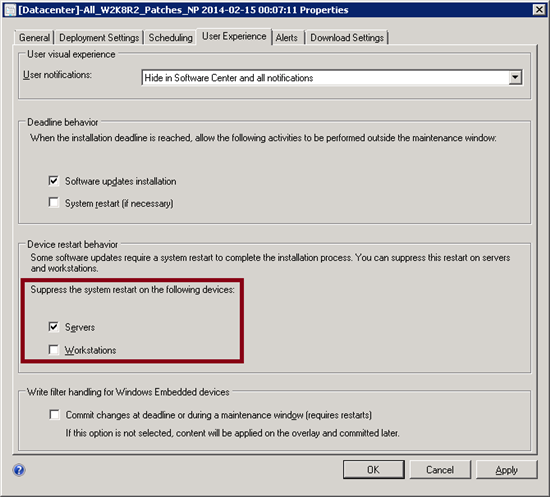 To do that, you need to go to the Software Update Groups, identify the ones created by the Automatic Deployment Rule and then suppress the system reboot in the properties of the linked deployments. Another option would be to re-create the Software Automatic Deployment Rule and remove all the existing Software Updates Groups that were created by it.